As if Bungie wasn't already upping the ante with Halo: Reach by finally including matchmaking support for this, presumably the last, entry in the beloved Halo franchise. G4's Patrick Klepek spoke with the system's designer, former journalist Luke Smith, about the new feature, including what the system is and what players can expect from it. "Bungie has detached Halo 3's ranking from the Trueskill system that drives matchmaking. Previously, the on-screen ranking users saw reflected how players would be matched up competitively, meaning someone with a high ranking would most likely be a competent Halo 3 player. That's not necessarily true in Halo: Reach. To be clear, Trueskill is still driving matchmaking, but Player Investment is more reflective of the amount of time someone's dedicated to Halo: Reach and not necessarily their skillset. Someone can have a high Player Investment ranking and be a terrible player. But since Trueskill is tracking that data in the background, away from users, it will still match players appropriately. 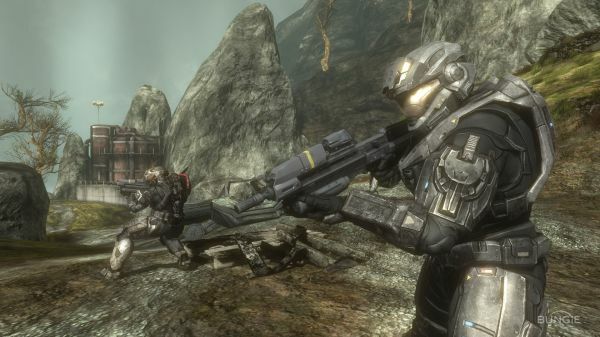 So, don't worry: terrible Halo: Reach players will be matched with other equally-awful Halo: Reach players." The goal with this update is to add a much more player oriented reward system, showing Halo gamers that their time is well spent. This seems to be incorporating the versus multiplayer with the main story of the game much more. Hopefully that means we can get some pretty sweet cR rewards for, oh, I dunno, co-op kills or assists? It should.